With life getting busier over the next few months, the timing of the end of the Bee is just perfect, and leaves me with the very manageable 1 Bee committment, and the lovely ladies of Stitch Tease, yay! 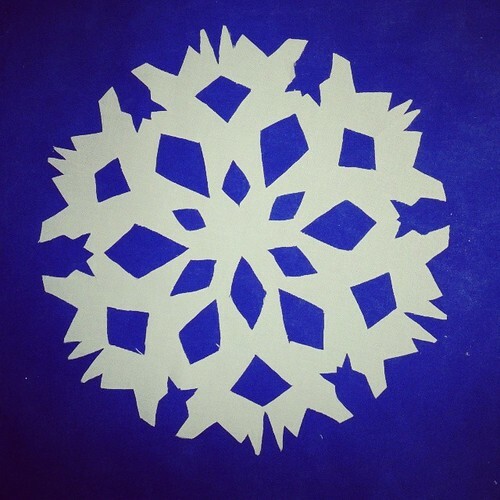 Your snowflake looks brilliant! 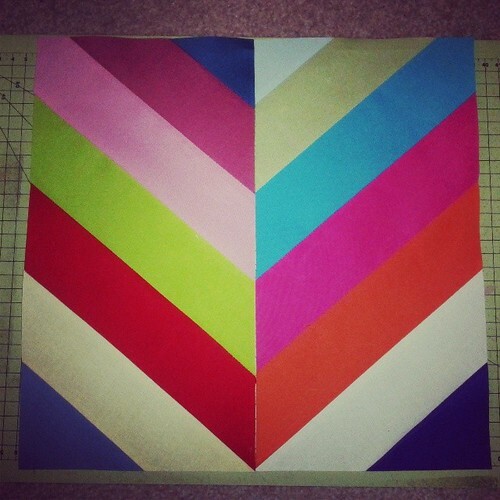 The chevron is fantastic - thank you Ange! I'm down to one Bee now too and it feels good. Looking forward to seeing your Embroidery quilt finish. Oh I would have been so tempted to do one of those Star Wars snowflakes, a nice storm trooper block! You are on top of things, my friend. And by the end of tomorrow you will be ahead of the bee game! Life getting busier? Tee hee, mistress of the understatement! I just caught up reading your last 5 posts. You have had a busy time with remodeling, seeing and cooking that baby girl. Can't wait for the big announcement.